Carlton has named its final team to take on Collingwood. Alex Fasolo and Liam Stocker are among the inclusions for the extended JLT 2 squad. Liam Stocker’s name will go down in the history books as the first player selected as part of a live trade. The Sandringham Dragons product is a midfield bull with great foot skills on either side of his body. 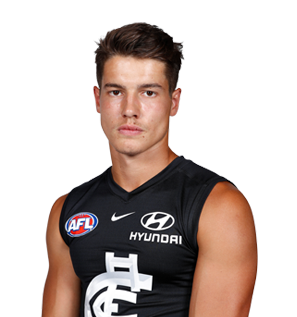 With the ability to go forward and do damage, Stocker — taken with pick No.19 — will learn from Carlton's best in Patrick Cripps and Marc Murphy as he embarks on a new career in navy blue. Draft history: 2018 NAB AFL Draft 1st round selection, No.19 overall.